I first head about this dry skin fighter when I was watching one of Amelia's videos and it immediately went to the top of my wish list. It's not cheap so I didn't buy it straight away. Fast forward a few months and my eczema and dry skin wasn't getting any better so I went ahead and ordered it from Space NK as I had some N.dulge points to spend. The only thing is, I'm still meant to be on my spending ban but have made an exception as when it comes to my eczema, I can't wait a few months to buy something as it'll only get worse in that time. 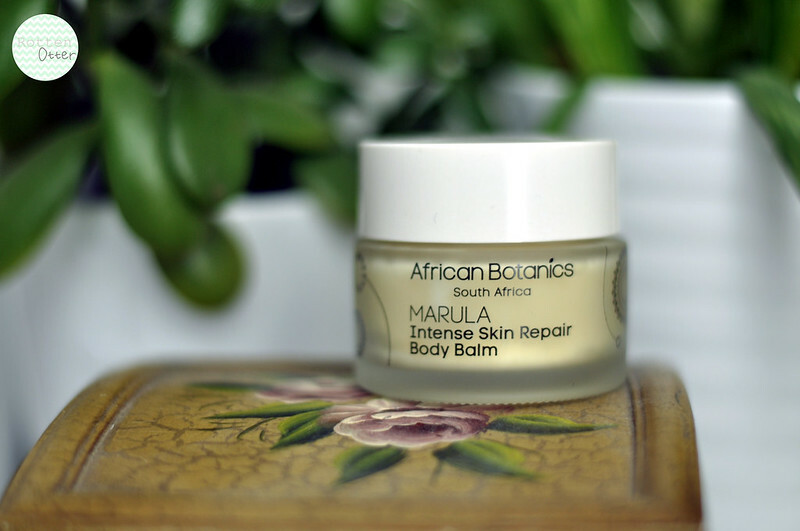 Let me introduce the Marula Intense Skin Repair Body Balm from African Botanics. This 58ml glass jar will set you back £40 so it's definitely not an impulse buy product. First impressions are that I love the packaging but I'm not sure I like the scent. If a product works though I can ignore the scent. The balm itself is very thick and solid so it takes a while to warm and melt down before you apply it. A mini spoon or spatula is the best thing to get the product out of the jar if it's still solid, especially in the winter. A tiny bit goes away and it sinks into skin really nicely although your skin is left feeling a little greasy so probably best to use this at night. I'll report back once I've tested it for long enough and tell you what I think about it and if it's worth the price tag. Anyone tried this before?